With its 2,640 km coastline over the Persian Gulf and the Red Sea, Saudi Arabia is a suitable country for maritime trade and transport of energy (oil, petroleum). Jeddah and Riyadh are the cities most expats move to, as they provide western facilities, restaurants and also because most international companies are settled there. The Kingdom of Saudi Arabia occupies the largest territory on the Middle East Peninsula; it is also a realm of opportunities for potential expatriates. Amidst the 2,150,000 square kilometres of predominantly hot desert climate lies a remarkable kingdom of tall and modern buildings, offices, and apartments within its capital city, Riyadh. To get to know the Kingdom more, expats usually troop to its museums and historical landmarks which showcase local art, religion and culture, as well as the diverse and intriguing history of the land. As a nation, Saudi Arabia has been successful in its foreign diplomatic efforts to build better relationships with other countries and bridges the economic possibilities of improvement that benefit investors and eventually, its people. The government's involvement in international agreements paved the way for the formation of several parties that confronted the issues on climate change, desertification, endangered species, hazardous wastes, the law of the sea and ozone layer protection. The Kingdom of Saudi Arabia is an Islamic theocratic monarchy where Islam is the official religion and its culture derived from writings of the Holy Book. The richness of its language is without comparison and is the source of Arabia's culture and faith. While Arabic is the official language, English is widely spoken and is a compulsory second language in school as well as in doing business. Urdu, which is the national language of Pakistan, is also spoken amongst the non-Saudi population. Hospitality has been an Arab tradition shared by expatriates and Bedouins. To respect social values, generosity, hospitality and courage is a matter of honour. Town dwellers or expatriates embrace these values and regard them as their own. Saudi Arabian clothing follows the principle of hijab, the Islamic principle of modesty in dressing. Expatriates themselves have learned to wear loose and flowing, but covering garments as this helps one to adjust to the country's desert climate. Women, when in public, are required to wear a modest cloth called abaya while children are allowed to dress up for fun and put on plays for their families. Mathematics and astronomy are equally important aspects of the Arabian culture heritage. In fact, the word "algebra" is derived from the Arabic word "Algebar," which means resetting of a combination. The current population of Saudi Arabia is approximately 29,897,000 of which about 25% are foreigners or expatriates. The figures are clearly an indication of growth and urbanization as more people from varied parts around the globe have come to contribute to the economic stability of the Kingdom as well as be part of its culture. Despite the great pace of growth, the Kingdom has witnessed over the last two decades, traditional and social values have been maintained steadfastly, and the rich heritage of the Kingdom protected and enhanced. Indeed, Saudi Arabia has remained on the path of growth and development while keeping its feet planted solidly on the ground. As a first step to your relocation, organising your home search and then preparing your household goods move will already take most of your early efforts. Overseas shipping of goods to Saudi Arabia is expensive due to shipping method, size of the load and insurance. All the items must pass through customs that provides checks as to whether the goods are dutiable. Alcohol, fashion magazines, games of chance, statues, Bibles, binoculars, medicines without doctor's prescription, or even Christmas trees are not allowed by the customs to bring into Saudi Arabia. Other prohibited items to the Kingdom include pornographic materials, firearms, drugs, pork products, pirated CD's or DVD's, computer software, stuffed animals and toys, and natural pearls. There are three pertinent documents needed for shipping of goods to Saudi Arabia namely: authorization letter, Sponsor Certification and Shipment declaration addressed all to Customs Director. Exporters are also required to submit documents to be presented in each shipment in order to avoid delay of exportation. Exporters must submit a commercial invoice, bill of lading, airway bill, certificate of origin (industrial products), certificate of origin (animal and agricultural products), export declaration and packing list. For sea shipments, exporters must follow the Saudi Arabian Ports Authority Requirements regarding rules and regulations, port service fees, additional service charges for containers and trailers, and storage fees. It is best to get the help of reputable movers to Saudi Arabia to help ease the relocation process. Living in Saudi Arabia can be intimidating at the start, but in the end, life in this neck of the woods is indeed a rewarding experience. This middle-eastern is famous for its oil-based economy that continues to attract foreign nationals from all over the world. The Kingdom of Saudi Arabia is the most sought-after destination for job-seeking expats in the Gulf Cooperation Council (GCC). 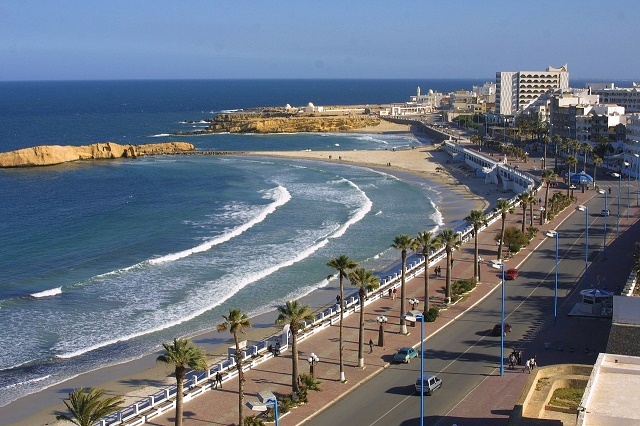 This country is the second largest Arab state that houses a massive population of 32.6 million. A better future and thriving employment are two of the main reasons why so many expats travel far and wide just to reach this Kingdom. However, starting a life here needs some serious adjustment especially for non-Muslims and those who came from Western countries. Other factors that must be considered are the hot desert climate, pricey cost of housing and lack of free healthcare for expatriates. The Land of Two Holy Mosques is indeed an economic giant, but only those who are willing to embrace the local culture as well as accept and respect the religious differences are rewarded with a prosperous life. Saudi Arabia has no movie houses or theatres since these public entertainment establishments are considered as incompatible with the practices of Islam. However, there are still tonnes of fun activities that expats can do especially within the international community where they can socialise with fellow foreign assignees. There are also plenty of recreational activities and places that children will enjoy such as sports facilities, parks, zoos, beautiful beaches and kids' centres. Families can go paddling in the sea of Corniche Beach, make sand castles, collect shell specimens or even experience camel riding. The Riyadh Zoo is also a popular weekend destination in Saudi Arabia but expats parents must note that there are restrictions as children can only be accompanied by either their fathers or mothers. Both parents are not allowed to enter the zoo together. Mothers may accompany their children on Sundays, Tuesdays and Thursdays, which are strictly reserved for women while Mondays, Wednesdays and Fridays are for men or fathers. Other exciting places include Al Hokair Land Theme Park and Wanasa World Children Activity Centre in Riyadh, where children are assigned with a clown partner who will take care of them the whole day. Despite Saudi Arabia’s claim of being a modern state, gender segregation is still strongly felt in the society. Women, though entitled to defined legal status, have fewer rights than men and have minimal roles in public. There is also a guardianship law in Saudi whereas every woman, regardless of their age, should have an accompanying male guardian who will grant her the permission to travel, marry, attend school and in some cases, identify her in the eyes of society. During the recent years, the country made slow progress in moving towards gender equality whereas the late King Abdullah showed effort in empowering the women in the society. National Identity cards are now being issued to women thus, enabling them to identify themselves as individual citizens in the eyes of law. Though expat women are not subject to these restrictions, they are still required to adhere to the customs and laws of Saudi Arabia. Driving is strictly prohibited even for female foreign assignees and once they hit public places, they will feel the heavy presence of gender segregation. Women are also forbidden from socialising in public with men (who are not related by blood) and are still covered with a long black abaya. 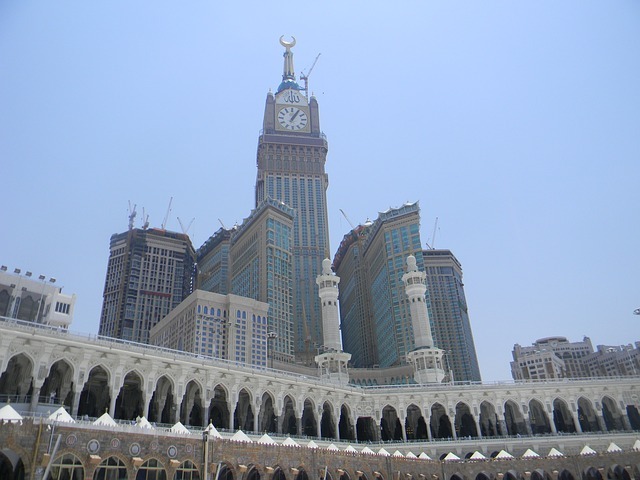 Expatriates in Saudi Arabia are expected to comply as such rules are enforced by the religious police. But on a lighter note, expat women still have freedom considering that they are allowed to book hotel or restaurant reservations on their own; a luxury that no Saudi Arabian woman enjoys. Moving to Saudi Arabia may be daunting to first-time expats, but even seasoned travellers are still bound to encounter cultural adjustments. Saudi Arabia is deeply characterised as a conservative Islamic culture which governs virtually all facets of life. Muslims adhere to their religious law which is adapted and interpreted in their family life, business, sexuality, and politics. Friday is the holiest day, and Muslims pray five times a day. Expats are not required to fast during Ramadan but are expected to respect abstinence during that time. Do not eat, drink, smoke or chew gum in public. Pork products and any religious books or artefacts not related to Islam are also prohibited during this holy month. Alcoholic beverages are banned throughout the country. However, there are those who discreetly consume alcohol inside Western compounds. Note that the country has severe penalties for importing alcohol. As part of the local culture, expats should use their right hand for giving or receiving gifts. Many can also attest that there are also many opportunities to have a social life even without a "night life" as nightclubs and bars are strictly prohibited. That is why most western expats spend their spare time shopping. 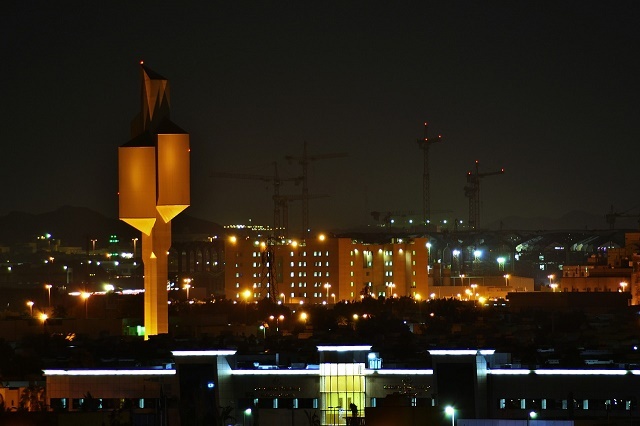 Almost one-third of the Saudi population is foreign nationals who live in enclosed compounds. Foreigners who will live in Saudi Arabia can take comfort whenever they feel homesick with a number of franchises sprawled in the city centre such as Subway, Starbucks, McDonalds, Pizza Hut and KFC.